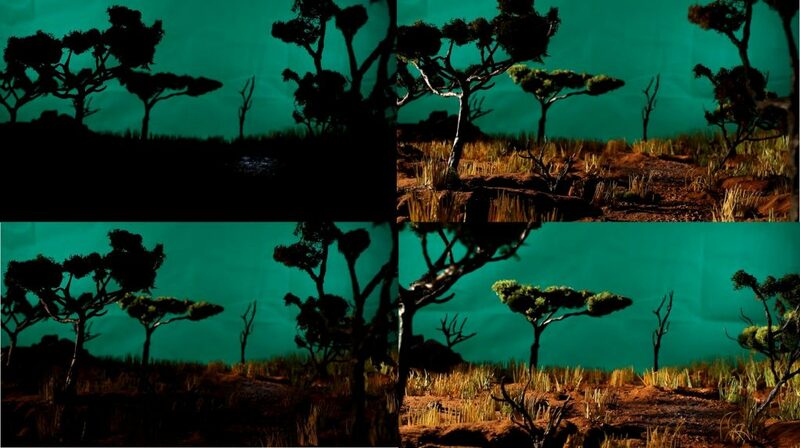 The Savannah miniature set I build together with Simon Tytherleigh for ‘Impisi’, a 4o minute theatrical piece involving disabled actors on stage and on screen. This set piece was used for the opening tracking shot that was projected on a big screen central to the performance. The opening shot starts at night, seeing the silhouette of the trees. The green screen was later replaced by a sky. We filmed the sunrise as a practical effect with a light on a lever. The camera starts moving through the set, using the hand built moco rig made by Simon. The shot ends to line up with a tree that was later created in life size on the stage. As the camera moves to the end of this set it is replaced by a collage of real and digital elements for the extended Savannah scene. The actors were filmed on green screen and later placed within that scene by Simon. 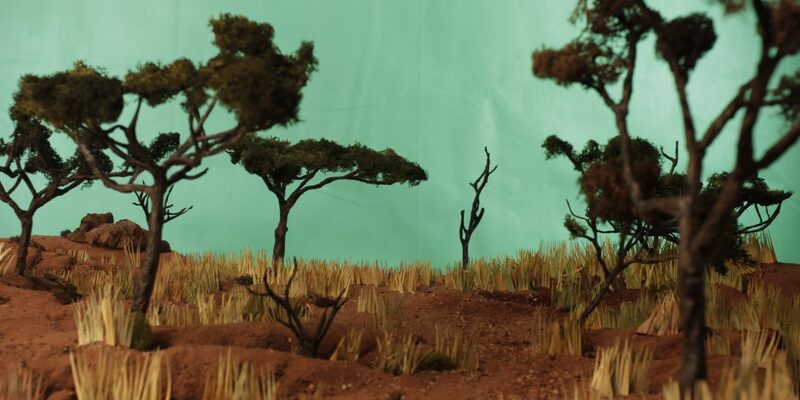 I was involved building the Savannah set for the opening scene, as well as helping with filming the live action and building a vulture puppet that was animated as well as some props used in the play. 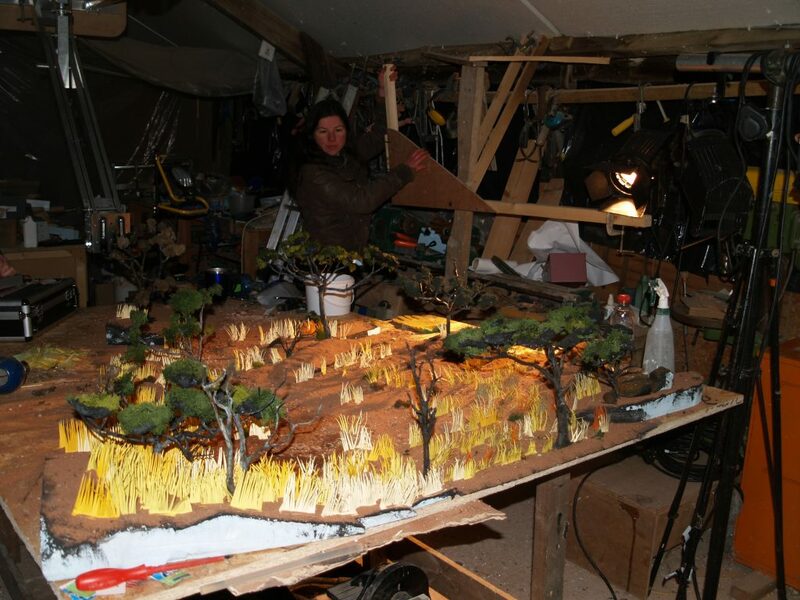 Below is a timelapse of Simon and me building the Savannah set. Picture below: making the sun rise!